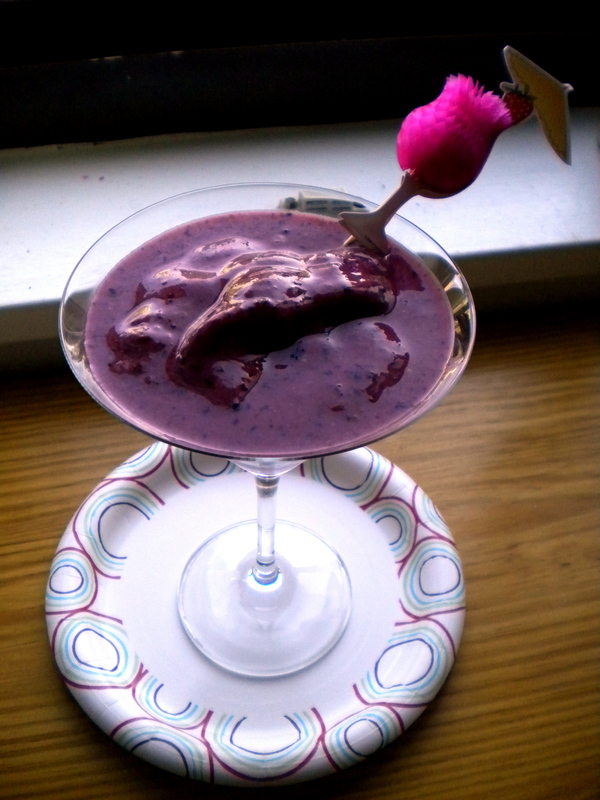 Blackberry Blueberry Smoothie – Voila! Cookers, start your blenders! I wouldn’t usually use NASCAR references since I know nothing about NASCAR except for that one line. Anyway, it’s time to pull out your favorite mixture of frozen fruit and blend until your heart’s delight. Smoothie’s are perfect for breakfast, brunch, lunch or afternoon snack. They’re amazingly easy, fast, cheap and often leave leftovers for the next time you crave one. What’s not to love? 1. Pour everything in a blender and mix! Pingback: Classic Basil Pesto « Voila!